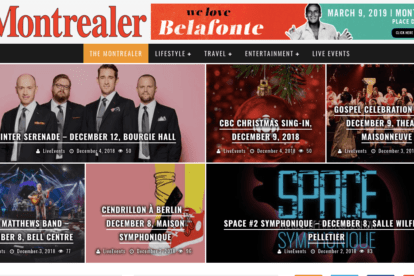 We selected the best independent Montreal blogs for 2019. Find our local favorites here in alphabetical order! 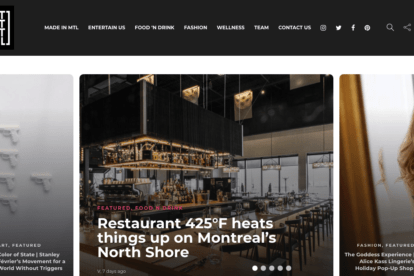 Best Kept Montreal is a blog dedicated to uncovering the best things happening in Montreal regarding entertainment, food, and fashion. It’s a great source for finding new restaurants, pop-up stores, and art exhibitions to visit during your trip. We recommend checking out the Made in Montreal tag for interesting articles such as “10 Montreal things to do on a rainy day”! 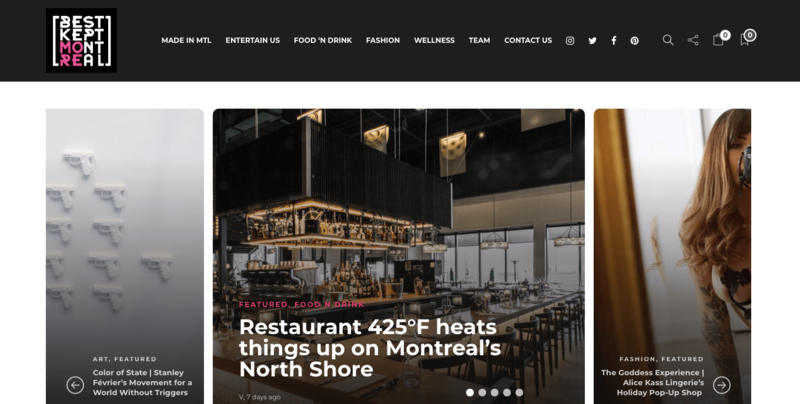 A daily web and monthly print publication focusing on Montreal culture, Cult MTL covers what’s happening in the city and beyond, from art to nightlife, politics to business, restaurants to style. It’s great for finding cool events happening right now. We really love their to-do lists, which lists all kinds of interesting things happening around the city that day! 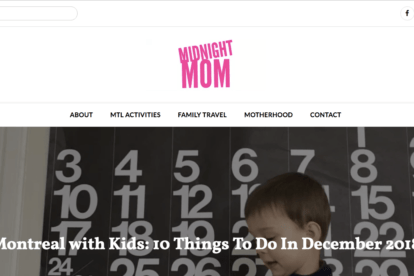 Run by mom of three Lauren, Midnight Mom is perfect for parents traveling with children. 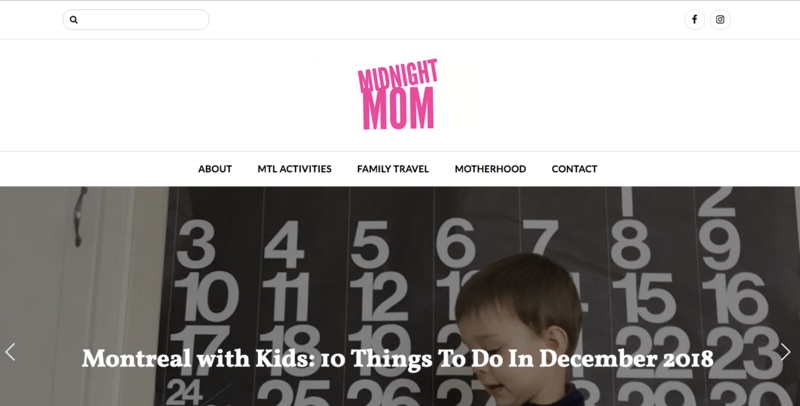 She writes about kid-friendly restaurants and activities in Montreal as well as general tips about motherhood and travel with children. We recommend checking out her monthly posts with ten things to do in Montreal when you’re planning your trip for nice activities such as theater shows, workshops, and activities! 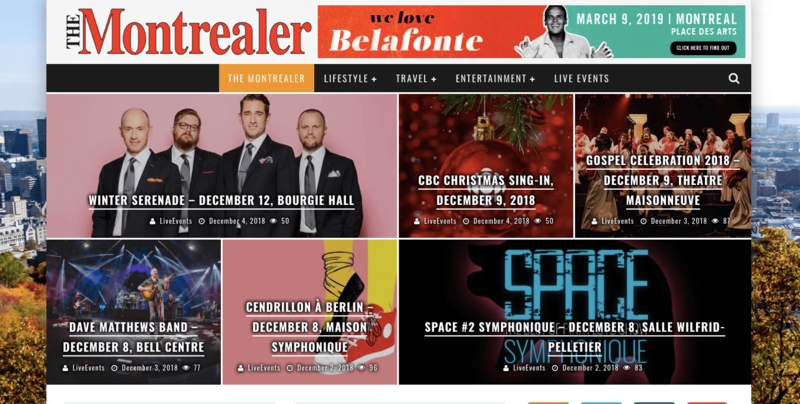 An online magazine on all things Montreal, The Montrealer is a great source for things happening around the city. They write about a range of topics, including restaurants, theatre, shopping, and live events! Check it out if you want to fill your itinerary with things such as temporary markets, unknown shops, and unique activities. We recommend checking their “At the Museum” tag for nice exhibitions! 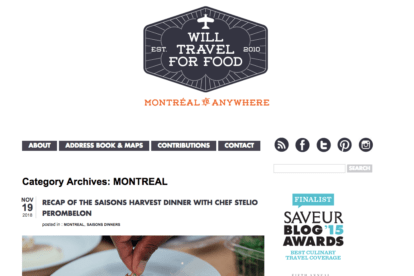 Founded and run by Mayssam, Will Travel for Food is the food blog to visit before going to Montreal! You can find a whole range of places here including coffee spots, brunch, sweet spots, and restaurant reviews. The site is filled with mouth-watering pictures guaranteed to give you an appetite. 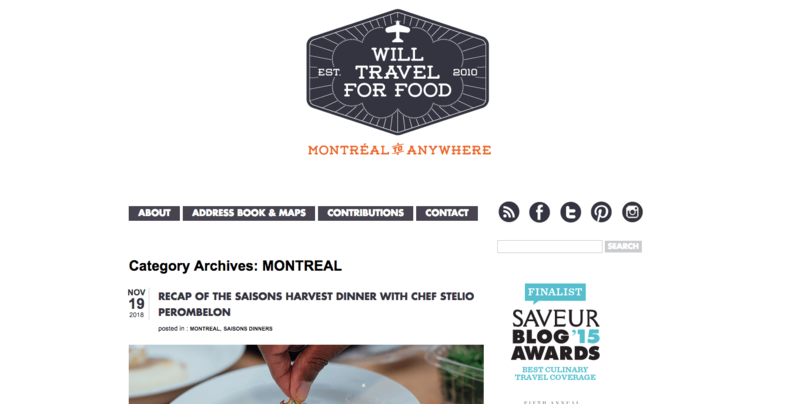 Our tip is to check out her SAISONS dinners, a culinary experience she hosts three times every season for a truly special activity.